Following his new sanctions instituted against Iran, the dismissal by Donald Trump of the Joint Comprehensive Plan of Action (JCPOA) nuclear deal is the continuation of the capitalist logic of militarization of the Middle East that was escalated by the last Bush administration and which has brought genocide and disastrous humanitarian crises to the region. The US-led wars in the Middle East, US threats against the reactionary Iranian government, divided Iranian Marxists and other Iranian leftists regarding questions of the best tactics and strategy with which to confront both Western imperialism and their own reactionary government. These questions persist for the revolutionary and progressive forces in Iran to this day. The failure and crisis of the left, due both to the rise of an unexpected counterrevolution within the revolution of 1979 and to the failure of the Marxist left at that time to grasp soon enough just how reactionary the Khomeini forces were, has led to a loss of trust in the value of Marxist theory and in the value of Marxism to inform emancipatory practice. In 1979-80, some wanted to work with the Islamists because they thought they were allies against imperialism. Today, some tendencies are asking whether we should oppose Trump and the sanctions, or whether we should instead “stay on the winning side’ by not condemning the sanctions and — like the ex-revolutionary Mujahedin-e-Khalq (MEK) — hope for the overthrow of the reactionary government with the help of imperialism. This is what so-called radical Iranian organizations are proposing. Unfortunately, the tragic history of the Iranian left uniting with reactionary and fanatical Islamic forces in the 1979 revolution in a misguided and ultimately unsuccessful struggle against the imperialist forces is repeating itself today at a higher stage as the farcical idea of the left uniting with Trump against the reactionary and fundamentalist Islamic government to bring MEK to power. One thing that is clear is that sanctions alone have never led to the overthrow of any government or changed any authoritarian state to a democratic society. Instead, past experiences in Syria, Iraq, Libya and Afghanistan show that sanctions have only brought more militarization, poverty, and destruction, further harming both the working class and other poor layers of the people. Recent and current US policies are viewed by many experts as themselves important factors in the rise of anti-American sentiment and as causing violent actions in support of repressive regimes. Further, US policies are appropriately seen as being biased in favor of Israel and against the Palestinian people, as dramatically exemplified by Trump’s decision to move the US Embassy to Jerusalem, accepting Israel’s declaration of Jerusalem as its capital; these policies and actions should be considered in the context of escalating the conflict between the US and Iran and in promoting more potential violence throughout the Middle East. A 2017 US State Department memo, recently leaked, advised the Trump administration to push for an “Islamic Reformation,” a policy advocated by very reactionary Islamophobic forces in the US, who want to target not only jihadist or actually violent “extremists,” but mainstream Islam as a whole. They actually think that US pressure can force a “Reformation” as they call it. This advocacy for such a form of “Islamic Reformation” is part of a dual ideological counterattack against both Iran and the Islamic State, “which should be discussed at the highest levels of State Department and National Security Council as the official policy of the US in the Middle East.” Rex Tillerson distanced himself from Trump’s anti-Islamic rhetoric. He was then replaced by Mike Pompeo in April, who has a track record as an anti-Muslim ideologue and of being willing, if not eager, to push for a direct US confrontation with Iran. The right-wing ex-Muslim Ayan Ali Hirsi also supports this language of “Islamic Reformation.” (See the document submitted to the White House National Security Council by the State Department Policy Planning Staff in the summer of 2017 — a period in which the NSC was drafting the Trump administration’s National Security Strategy <https://www.whitehouse.gov/wp-content/uploads/2017/12/NSS-Final-12-18-2017-0905.pdf>.) General Jim Mattis was worried about Trump’s anti-immigrant and anti-Muslim rhetoric. General H.R. McMaster also tried on multiple occasions to convince Trump to resist using language portraying Islam as intrinsically terrorist. The president fired McMaster in March and replaced him with hawkish neoconservative John Bolton, who is the former chair of an anti-Muslim think tank. Trump warned Iran’s president of “consequences the likes of which few throughout history have ever suffered before” in response to Iranian President Rouhani’s earlier declaration that war with Iran would be “the mother of all wars.” Trump’s words could have no meaning other than that he is ready to initiate a nuclear attack, which would leave no winning side in a war in the Middle East. The senior Iranian military commander, Qassem Suleimani, who is in charge of the Quds force, the external arm of the Iranian Revolutionary Guards, has responded to Trump’s tweeted threats against Tehran in hostile and colorful language: “The Quds force and I are your match… the Iranian nation has gone through tough events. Go ask your predecessors about it. So stop threatening us. We are ready to stand up against you.” This response could not have happened without the implicit, anticipated, or explicit backing of Iran by Russia and its new ally Turkey. In his first 18 months in office, Trump has indulged in hate speech, dehumanizing immigrants, sticking up for Nazis in Charlottesville, and saying that Africa is full of “shithole countries.” Trump has also amplified the racism that has long been deeply embedded in both the domestic and foreign policy of the United States. He has put the interests of white supremacists first in a country that is shifting demographically away from having a white majority. For the most part, people of color see Trump for who he is, but do white Americans do so as well? Trump tapped into the widespread anger at Wall Street and corporate corruption but redirected that well-founded anger towards immigration, at a putative immigration issue and a putative “problem of borders,” and used the fear of terrorism to try to link immigration to people’s experience of economic problems. A lot of supporters of Trump think that the root cause of violence is Islam itself, or immigrants, or people of color in general. For those who still believe that fascism could never come to the United States, these beliefs, claims and the actions that flow from them, are important warning signs and I have to say we are at the threshold of a turn to fascist tendencies or full-blown fascism that one way or another will bring more dehumanization, brutalization, and incarceration of people of color. The historical facts show that the first “concentration camps” were not in Germany, or even in Poland. They emerged over a century ago in Cuba, Africa and the Philippines – built by colonial regimes to control the colonized populations who had the audacity to resist. African newspapers were filled with talk of fascism in the 1930s, while anti-imperialist figures like India’s Jawaharlal Nehru saw the colonial and fascist regimes as the same tyranny wearing different uniforms. The most recent fascistic outrage being committed by the Trump administration has been the separation of children from their families at the border. The New York Times reported in April 2018 that authorities had separated 700 children from their parents since October 2017. In a two-week period in May, an additional 658 children were separated from their parents, according to Sen. Diane Feinstein (D-CA). But do not forget that Trump and Trumpism are not about just religion and racism. There are other reasons underlying the regressive, repressive and fascist tendencies in Trumpism such as furthering the economic interests of US-based corporations and elites in the Middle East. That Trump wants to wage a war against Iran has much to do with its rich oil reserves and the strategic geopolitical reshaping of the Middle East in support of the US and the interests it supports, in opposition to other imperialist forces such as Russia and China. Trump wants to end all oil exports from Iran in order to starve the country of foreign currency. Iran’s biggest customers are the European Union, India and China. The big European oil companies have already folded under Trump’s pressure. China has still to decide if it wants to follow the US stand against Iran or to find its own imperialist ways of benefiting from the situation by making its own deals with Iran. Trump is pressing Saudi Arabia to increase its oil supplies to replace the Iranian oil that can no longer reach the world market. That is why Iranian President Rouhani said in response to Trump that if we don’t sell our oil, we will make sure that nobody else would either, threatening the Persian Gulf oil shipping lanes. Within the Trump administration, Secretary of State Mike Pompeo and National Security Advisor John Bolton are the biggest proponents of regime change in Tehran. They favor organizations and people with ties to far-right anti-Muslim groups, which push for “Reformation” in Islamic countries in the Middle East regardless of the likelihood that such actions could provoke a backlash in Muslim communities across the world. One of these people is the billionaire Sheldon Adelson, who backed Newt Gingrich against the putatively “anti-Israel” Obama in 2012 election and spent $80 million supporting the Republican party in 2016. Adelson not only has ties with the far right in the US, but also with the Israeli state, supporting Benjamin Netanyahu and his goal of preventing the establishment of an independent Palestinian state. Adelson is now a key driving force behind Trump’s Middle East policy and some of his recent controversial decisions, including moving the American embassy to Jerusalem, thus tacitly if not overtly recognizing Jerusalem as Israel’s capital, appointing the ultra-hawkish John Bolton as the National Security Adviser, and violating the Iran nuclear agreement. Nobody in the Middle East believes Trump’s good Muslim/bad Muslim narrative and the threat of nuclear war is present today more than ever. Some people think because Trump, despite his initial bellicose rhetoric, was willing to engage in negotiations with North Korea, that Trump’s threats against Iran are also merely rhetoric and that there is a chance that the US will also engage in negotiations with Iran, perhaps with Oman as mediator. However, I see the actions of the Trump’s administration as a tactical maneuver to divide Iran and North Korea in order to put more pressure on Iran. A year ago, the CIA created a mission center with the goal of regime change in Iran including analysts, covert action, personnel and specialists from across the CIA. Mr. Pompeo picked a veteran intelligence officer, Michael D’Andrea, a former director of the CIA’s Counterterrorism Center, to lead the new group; D’Andrea is well known for his aggressive stance toward Iran. Part of this operation includes using the MEK, which leads a terror cult that had fought alongside Saddam Hussein’s Iraq against Iran and which is despised by the Iranian people. 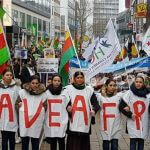 They are supposedly also talking to the Iranian-armed Kurdish Peshmerga KDP (Kurdish Democratic Party) and one of the factions of the Marxist organization Komala, which has a similar history of turning to the right after the crisis of the left. The Middle East has been torn by a polarizing feud between predominantly Sunni Saudi Arabia and predominantly Shiite Iran. Regardless of the religious rhetoric exchanged between the two, the truth is that sectarianism is not the root of the conflict between these two Muslim majority nations. This hostility goes back to the 1980-1988 Iran-Iraq war in which the Saudis, with US -support, both backed Saddam Hussein’s regime in Iraq and urged other Gulf nations to do so. After the war, Iran considered Saudi Arabia as an enemy and tried to organize and boost support for Sunni jihadist actions against the Saudi government. In recent years, we have seen an increase in Iranian regional power, especially in Iraq, with the nuclear deal during the Obama presidency, and its gains in Syria, Iraq, Yemen and Lebanon. The Saudi-Iran feud became antagonistic in recent months, with a regional US-Saudi war against Yemen, with the blessing of Israel. The status of Jerusalem is one of the most contested issues in the Middle East. Palestinians see East Jerusalem as the capital of their future state. Through the move of accepting Jerusalem as Israel’s capital, the Trump administration is accepting Israel’s claimed control of Jerusalem, which will, as it is designed to do, cut the northern part of the West Bank off from the southern part. That is the kind of thing that could make a Palestinian state completely impossible. This is leading Iran to have more influence on Palestinian groups and to pit them against Saudi Arabia. On November 16, 2017, Israeli military leader Lt. Gen. Gadi Eizenkot gave an unprecedented interview to a Saudi newspaper underlining the ways in which the two countries could unite to counter Iran’s influence in the region. For Saudi Arabia, the Islamic Revolution marked an attempt at dethroning its hegemonic role in the region, especially as Tehran attempted to export its revolution. Saudi Prince Mohammad bin Salman’s so-called “reform,” his recent purge and extortion of other princes, and broad domestic repression, and the misleading coverage of Western media gave him concealed the true motive and nature of these putative “reforms”: the centralization of the government to prepare for war with Iran and actions against Lebanon and Yemen. The misleading media coverage also obscured the role of the United States and Israel in promoting these warmongering policies as seen in the extensive involvement of Saudi Arabia in the war in Yemen. The war in Yemen has created the world’s worst humanitarian crisis, in which 22 million people urgently need humanitarian aid according to a United Nation’s estimate. Saudi Arabia and the United Arab Emirates (UAE) began bombing Yemen in March 2015, with the aim of restoring the former Saudi-backed President Abdu Rabbu Mansour Hadi to power. Hadi was deposed after a Shiite rebel group, the Houthis, stormed the capital in 2014; he eventually fled the country. Saudi Arabia has spent more than three years bombing Yemen and creating a humanitarian crisis. 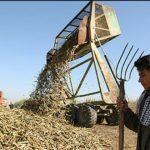 But aid groups claim the worst attack was when the US-backed forces organized by the UAE launched an assault on the rebel-held port of Hodeidah, the entry point for 70 percent of the food, medicine, and other crucial supplies entering Yemen. The war has already killed 15,000 civilians. Most information people see or read in the Western mainstream media, such as the Washington Post, CNN, or Fox news comes from the Saudi media, diplomats, or military officers. But many believe that US-Saudi coalition warplanes deliberately target the civilian infrastructure, including homes, farms, factories, schools, buses, gas stations, government buildings, and water treatment facilities. In the past four years, there have been 13,000 civilians killed and over 21,000 injured, mostly women and children; this had been recorded by the Yemeni monitoring group the Legal Center for Rights and Development. Saudi Arabia uses cholera as the weapon of choice, since it is a known and expected consequence of the blockade and the targeting of infrastructure like water treatment facilities, further exacerbated by the fact that Yemen imports nearly 80 percent of the food and almost all the medication it needs. From April 2017-April 2018 over 1 million people became infected with this very preventable, very treatable, and highly lethal disease. Thousands died because they were not able to receive medical care in time. This created the largest cholera outbreak in the world. The Turkish lira is in total meltdown. It has lost 40% of its value against the dollar in the last six months and fell nearly 20% in the last week. Turkey’s fast economic growth of the last half-decade was built on credit and foreign borrowing, without ensuring a balance between exports and imports. Then, with the rise of the dollar and of global interest rates, Turkish currency markets fell sharply. There was universal recognition that the spontaneous protests from below last winter were triggered by the worsening economy and the economic hardships caused by the country’s surging prices for the basic foods consumed by low-income families, such as bread and eggs. Inflation was estimated at 10% annually by a government report, and according to outside experts, inflation may be between 100-150%. The February uprising in Iran pushed beyond political change and mere reform; it put on the agenda an end to the legitimacy of the fanatical Principalist (conservative) and the Reformist leaders and of the illusion that nonviolent reforms would lead to fundamental change. It highlighted that fundamental internal and bottom-up regime change should be considered, beginning with the action of an independent working-class movement against the totality of the current regressive regime. It is the intensity of these endogenous stirrings that might prompt the Iranian regime to make a deal with Trump to keep in power. Since most of the women and labor activists are in prison, it is clear that this movement was spontaneous and that neither leftists, nor the MEK, nor monarchists could claim its leadership. But the danger of this movement for the regime was not its spontaneous nature, but the fact that the regime can no longer fully prevent women, workers, the poor, as well as ethnic and religious minorities and young students from pushing back against the current government. Every day, workers are going on strike, from factory workers to truck drivers and unionized teachers, mostly for improvements of living conditions, for better wages, and against rising inflation and the declining value of the currency. Unlike the 2009 Green Movement for civil reform under the leadership of the Reformists, this past February’s uprising was a potentially revolutionary movement that could have truly revolutionary implications, getting the working class involved at a time when more than half of the population subsists under the poverty line, in a setting of endemic government corruption and abuse of vast amounts of taxpayer money spent on the mullahs’ foundations. The reformers were clearly on the opposite side of this revolt, condemning violence and protest slogans like “Down with the dictator” and “eslah talab, osolgra, ineh tamom majara” (Principalists and Reformists are all equally responsible), which aim at the destruction of totality of the regime. This revolt included the participation of the unemployed, women, students and youth, mostly under the age of thirty. The prominent women’s protests against the compulsory chador, enforced through an Islamic anti-women law, were especially notable. Iran has had non-stop workers’ demonstrations during the past three decades and the current protests are ceaseless. This is seen in the recent environmental crisis in central regions like Isfahan and southern regions like Khuzestan province, Kazeron, and now in major cities like Khorramshahr, Abadan and recently in Kharaj a couple of months ago. There is a lack of proper drinking water, while the regime is selling drinking water to Iraq and has destroyed the Iranian agricultural system and in some places has dried land beyond use. This has forced millions of villagers into cities, where they cannot get jobs and proper housing. 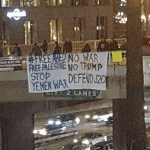 A majority of the people demonstrating also were upset at the regime’s sub-imperialist adventurist political actions, especially in support of the murderous Assad regime and its confrontation with the Saudis in Yemen in support of the Houthis. 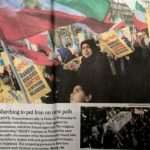 Iran has a lot of unfinished democratic tasks in order to build democratic institutions, such as combining class conflict with a civil society agenda or the women’s rights and gender issues. This shows some of the difficulties of combining democracy and socialism after the revolution. America’s unsavory record of violent interventions in the Middle East is little known to the American people yet well known to the Iranian people, who remember the CIA coup plots in Iran, Iraq, Jordan, Syria, and Egypt. This is the bloody history that modern interventionists like George W. Bush and Trump do not want the American people to remember. The CIA began its active meddling in Syria in 1949, barely a year after the agency’s creation. They pumped secret American military aid to tyrants in Saudi Arabia, Jordan, Iraq and Lebanon, sometimes favoring puppets who promulgated conservative jihadist ideologies that the US regarded as a reliable antidote to Soviet Marxism. In 1953, Kermit Roosevelt orchestrated a CIA coup in Iran against the democratically elected President Mohammed Mosaddegh, after Mosaddegh tried to renegotiate the terms of Iran’s lopsided contracts with the giant Anglo-Iranian Oil Company (now BP). Mosaddegh was the first elected leader in Iran’s 4,000-year history and a popular champion for democracy across the developing world. Mosaddegh expelled all British diplomats after uncovering a coup attempt by U.K. intelligence officers working with BP. Mosaddegh, however, made the fatal mistake of resisting his advisers’ pleas to also expel the CIA, which, they correctly suspected, was complicit in the British plot. Mosaddegh idealized the US as a role model for Iran’s new democracy and considered it incapable of such perfidies. President Harry Truman had forbidden the CIA from actively joining the British in their attempts to topple Mosaddegh. But when President Dwight Eisenhower took office in January 1953, he gave the CIA a green light. After ousting Mosaddegh in “Operation Ajax,” Rocky Stone and Kermit Roosevelt installed Mohammad Reza Shah Pahlavi, who favored US oil companies, but whose two decades of CIA-sponsored savagery toward his own people from the Peacock throne would finally ignite the 1979 Islamic revolution that has bedeviled US foreign policy for nearly forty years. War and climate destruction tragically uproot millions from their home countries. We need to open the borders to refugees, and meet their needs for health, safety and human dignity. We challenge the racism and Islamophobia used to justify wars and occupations and the denial of human rights to refugees. The militarism and authoritarianism that the US promotes abroad is reflected in the militarism and attacks on civil liberties in our communities at home. We stand in solidarity with those such as Black Lives Matter who are advocating the demilitarization of police forces. We stand in solidarity with those who seek liberation, social and economic justice, and democracy in all countries, including the United States. The Iranian people still remember the CIA coup. They therefore reject any outside intervention aimed at “helping” them, as they remember the results of both the US overthrow of Mosaddegh and the US toppling of Saddam in Iraq. They remember how the US claims to support Iranian people but denies them visas. How can we oppose imperialism/Islamophobia on the one hand, and the Iranian regime on the other? This is a task for the truly revolutionary and humanist left for today. Another world, a Humanist alternative to capitalism, is possible, free of militarism, war, and poverty. Great and very informative article, thanks! Ali Kiani is a longtime Iranian Marxist who was active in the workers’ councils during the 1979 revolution, and since then in the Los Angeles area. He has translated several Marxist texts into Persian and written on both Marxist economics and the current crisis in the Middle East.